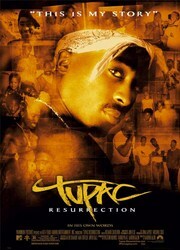 The first authorized documentary about the life and times of Tupac Amaru Shakur. This 90-minute feature documentary is driven by the music and art he created, and the revolutionary ideas he voiced. It captures the dramatic life experiences of a sensitive and versatile young man whose life was tragically cut short, but whose legacy of music and poetry continues to inspire others around the world.